Metal roofing has come a long way and it could be time to choose a metal roof for your home. There are many benefits and advantages to having a metal roof and manufacturers of metal roofing in Folsom offer warranties too good to refuse. There are many benefits to metal roofing and the prime reason is its durability. Having a metal roof installed will increase the life of your roof and it is easily installed over old roofing. You can choose from many types of metal roofing including shingles that are painted with cool pigments. Cool pigments reflect solar energy instead of radiating heat into your attic. Metal roofing can help in fire prevention by keeping embers or hot ash from being a danger. This type of roofing will deflect its danger rather than adding to it. Metal roofing is light weight and attractive and can be made with recycled metal. Plus, it can be recycled again if you change your roofing. There are many myths traditionally associated with metal roofing. However, metal roofing presents many advantages to the home owner, not disadvantages. Metal roofing does not attract electricity to your home and there is no danger of your home being more likely to be hit my lightning. These types of roofs are not noisy, and are actually a more quiet than a traditional roof. Metal roofing is not easily distressed and regular hail will not damage this kind of roofing. As a homeowner, you have many choices now for roofing and choosing a metal roof could be the best choice for your home and the longevity of your roof. 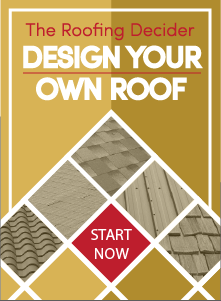 Ask your roofing professional to help you in choosing the best one for your home. Plus, go green with protection with a metal roof. If you live in the Folsom area, call Straight Line Roofing & Construction today for our expert advice on metal roofing and more.